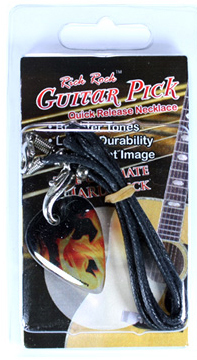 The Rick Rock guitar pick key chain is made with our same great quality guitar pick on a 4 link nickel plated chain with a 1” split ring. The split ring can also be inserted on the guitar picking finger as a safety device to keep the guitar pick from falling during a performance. 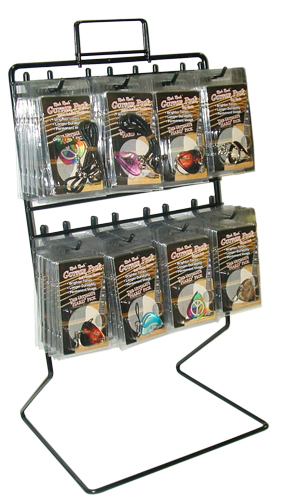 All our guitar pick key chains come with our colorful clamshell packaging.